Bad Tempered Zombie: Ladies and Gentlemen - Jarvis Cocker! Please join me over at the Record Room today, where I will tell you exactly what I thought of Jarvis Cocker's solo album, which the world (or the Brit-pop affectionados, anyway) has been awaiting for 5 years. Makes me wish I had sound on the work computer. No sound on a work computer should be grounds for harrassment charges against your employer, JustA. ooh, im on my way! Thanks for the review. Your commentary on music is helping me keep a promise I made to myself to start listening to new music again. It's well worth the trip, Mel! That's a good promise, Johnny Yen, you owe it to yourself. There is so much great music being made, as this one is right at the top. I haven't read your review yet Barb,but I am wondering if you were at the Calgary taping of Go. I did not hear your voice, so I'm thinking not. We saw Bruno yesterday and he looks good, even had his hair touched up by Sarah just in time for his hospital arrival! Quite a story he has to tell; makes you want to laugh AND cry. He is doing a lot of writing-maybe you should get him started on his own blog. 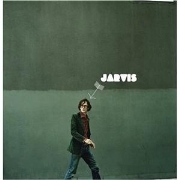 I have never listened to Jarvis, so I will go over and read this review, with much interest. However, its going to have to wait until later on once I finish more of my thesis. I look forward to it though!! Great review as always. You do have a way with words. I just relish the images you are able to convey. The Pogues and the Decemberists belong to my CD collection because of your reviews and musical postings and now I am about to add a third CD to that collection! The Go tickets were all gone by last Saturday afternoon, Berni, so we didn't get to attend. How was the show? I missed hearing it. What songs did Chad sing? Kathy sent me some pictures of Bruno getting his hair dyed. They're pretty funny. He should start blogging - he's got a lot of good stories to tell. Good for you for doing your work first, Allison. It hardly ever works that way for me. Jarvis will be waiting for you when you are ready for a break. Aww, thanks Toccata, that's so kind! I'm really glad you liked Jarvis. Randy over at the Record Room thinks that Jarvis Cocker is the next Leonard Cohen and I think he may be onto something. And you discovered Great Lake Swimmers before I did, I believe, so it just shows you what great taste we both have. Nice review and vids over there of Jarvis Barbara. Once again, you're on it! Thanks Dale, it was my pleasure, believe me. Even having not listened to him, I can tell you I love him just for having a name like Jarvis Cocker. hahahaha Phlegmfatale! You are so right - you cannot go wrong with a name like that!